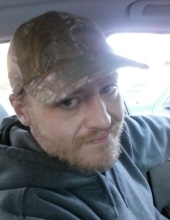 David Lee Simpson, age 33 years, a resident of the Holly Meadows Community, Parsons, WV departed this life Tuesday afternoon, January 15, 2019 as a result of injuries sustained in a motor vehicle accident. He was born Thursday, November 21, 1985 at Fort Belvoir, VA, a son of David William Simpson of Hambleton, WV and June “Elaine” Fulton Merilic and husband Tommy of Hendricks, WV. On March 20, 2007, he was married to the former Kayla LaShea Hodges, who survives in Hampton, VA.
Also surviving are one daughter, Josephine Ray Simpson of VA; one sister, Shelly Lynn Simpson of Manassas, VA; paternal grandmother, Dorothy Jean Simpson and maternal grandmother, Elma Nadine Fulton; one nephew, Zachery Hart; one niece, Maliyah Liske; several cousins, aunts, uncles, great aunts and great uncles. While living the military life with his family and traveling the world, he attended various schools, with the last being Denbigh High School at Newport News, VA. He was a construction engineer with the Merilic Construction Co., worked at Hinchcliff Lumber Co., Blackwater State Falls and along with his Mother, they owned and operated the All Season’s Cleaning Service. He enjoyed playing basketball while in school, fishing, tinkering and he was mechanically inclined. He loved music, traveling, he had a big heart, was a free spirit, with very strong values and he never met a stranger. He previously attended the Pentecostal Church of God. The family will receive friends at the Lohr & Barb Funeral Home of Parsons, WV on Saturday, January 19, 2019 from 11 AM to 1 PM. Final rites will be conducted at the funeral home on Saturday at 1 PM. Pastor Michael Fulton will officiate and interment will follow at the Fansler Cemetery at Hendricks, WV. To send flowers or a remembrance gift to the family of David Lee Simpson, please visit our Tribute Store. "Email Address" would like to share the life celebration of David Lee Simpson. Click on the "link" to go to share a favorite memory or leave a condolence message for the family.